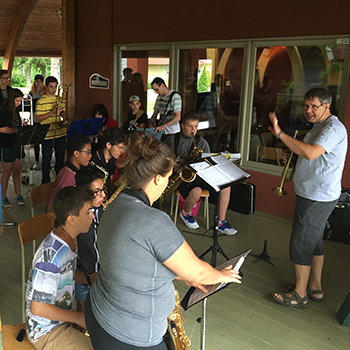 The supported program, La Ruée vers l'art, is an inspiring project set up to encourage musical practice of he Saguenay-Lac-Saint-Jean's youth. 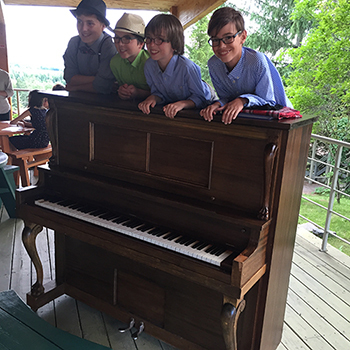 This program invites next year's potential students to accumulate "notes", allowing them to build a personal scholarship to stay at the Camp Musical du Saguenay-Lac-Saint-Jean the following summer. The more students practice music, attend or participate in concerts, the more they accumulate "notes" and the greater their scholarship! This was the first year of the program, with the objective of intersting 40 participants. The objective has largely been exceeded; 68 young musicians have registered and have accumulated "notes".